Yes! 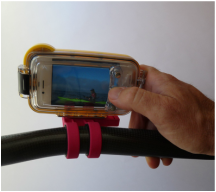 PaddleCam® works with your iPhone! Take your SmartPhone out on the water in a WaterShot™ waterproof housing and get great pictures with a PaddleCam® camera mount. PaddleCam® works with all housings that have a standard tripod mount. Try it today! 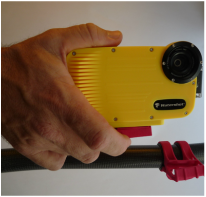 PaddleCam® is not affliated with Watershot™.